This is my favorite Toyota service place the service is awesome and my car is always well taken care of don't forget to ask for yesenia she has the best customer service always friendly and smiling and really knows what she is doing. I usually don’t leave reviews but this experience with Andres Moreno is well worth the time. I went through the express lane however they were busy at the time and directed me to Andres on the other side. Andres was very thorough with the service. He reminded me to make sure I come in every 5 months or 5000 miles to keep up with Toyota care which no one else has gone out of there way to do. He was very quick with the transaction even though it was a busy Saturday! Before I dropped off the car I asked him if they wash the car but was told it wouldn’t happen due to the high volume and short staffing that day. Tip for Toyota: Staff your service centers! A couple hours later I came to pick up my car and not only was everything done correctly, Andres went above and beyond to make sure my car was not only thoroughly checked but was washed on the outside. I understand being short staffed as I work for a company with the same issue. Not only will I always take my car to Toyota Hollywood, Toyota will be my car of choice. Hope this reaches his supervisor because he deserves some acknowledgement. Excellent service here. Danny assisted me. He is professional, courteous, VERY prompt and accommodating, honest and informative. Came in with a check engine light and he had it all fixed in one day, with rental car for me at an early hour, before any car rental places were open. I couldn't have wished for anything better. Thank you! 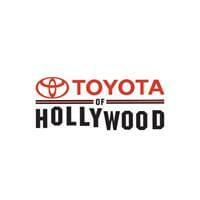 It is my pleasure to tell our experience with Toyota of Hollywood. As soon as we entered the customer parking lot we were greeted with courtesy and respect. I personally felt right at the very first minute, that we were in the right hands, that we were going to walk out with the truck as how we wanted. Right away we were in the hands of a great team with all do respect Is my pleasure to mention their names as follows; Sal Santos, Roger Sanchez and Wassim Manaa Thank you all for making us feel like home and made it all happen for us. I encourage everyone who desires to get a automobile to don’t look no were else.. come directly to Toyota of Hollywood and believe me there will be no regrets. God Bless you All!